As the Orlando Magic closed out their final game of the season against the Charlotte Hornets, it seemed like Terrence Ross was on a mission to earn a first round date with his former team, the Toronto Raptors. 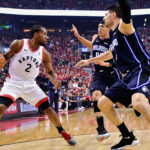 As the Orlando Magic get set to break the longest playoff curse among NBA Eastern Conference teams, they will attempt matchup with a Raptors team that trumps them in all aspects, including talent and experience. 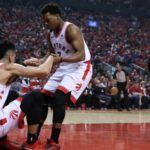 While the four games the two teams played in the regular season did not tell the true story, the Raptors will enter the playoffs as a different team, one much more focused and one with a slightly tighter rotation. While the Magic secured a playoff spot boasting a top-1o defense, their playoff on the other side of the ball has much to be desired. Ross’ play has been a revelation this season after the veteran guard missed the second half of last season with a gruesome leg injury. Nikola Vucevic earned his first All-Star nod, while Aaron Gordon continued to maintain a solid, yet unspectacular level of play. Jonathan Isaac has shown potential, while Evan Fournier has been his usual consistent self. Their starting point guard is D.J. Augustin. The fact is, the Orlando Magic simply do not have the fire power to match that of the Raptors. Of course, it’s difficult to gage what type of Raptors team we will see in the playoffs, particularly in Game 1, but this team has a different feel. They are no longer one-dimensional on offence, Head Coach Nick Nurse is able to adjust his lineup to provide the opposition with different looks. 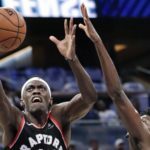 This team can run, they can slow the pace down, they can go small with Pascal Siakam at the five, and they can create matchup mismatches for nearly every team in these playoffs. After 82 games of practice, the time to perform is finally here and the Raptors are healthy and ready. 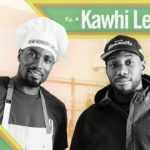 Kawhi Leonard looks fresh, the Raptors are entering the playoffs winning seven of their last eight, their defense has looked stout and since acquiring Marc Gasol, they have been the best three-point shooting team in the entire NBA. Obviously, outside of Gasol, a lot of that should be attributed to the play of Danny Green who shot 45-percent from long range on the season. Through four games against the Magic this past season, Green shot the ball at a 50-percent clip from deep. The talent level cannot matchup and the Magic simply don’t have enough to even make this series competitive. The last time the two teams met in the playoffs, Dwight Howard got the best of the Raptors. This time around should be completely different as we should all expect the Raptors to take care of business in four or five games. 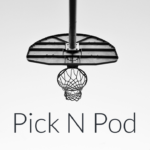 For more breakdown and predictions of the Raptors first round series and every other first round matchup, check out the latest episode of the BallnRoll Pick-n-Pod right here!